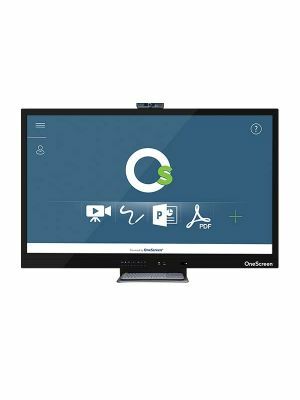 OneScreen Huddle d4 55'' Interactive Touchscreen Display is a premium collaborative communication product for small-scale usage. 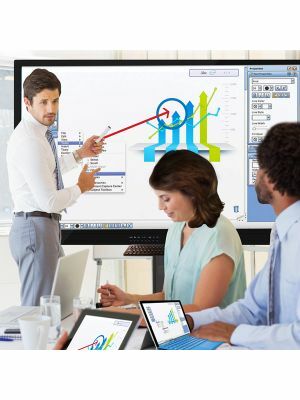 This feature-packed touchscreen panel has every function that a collaborator might need, and is still affordable for all users. OneScreen Huddle d4 55'' boasts the perfect specifications. The TFT LED touchscreen panel has a 4K UHD resolution, which is complemented by highly responsive10 point mutli-touch. 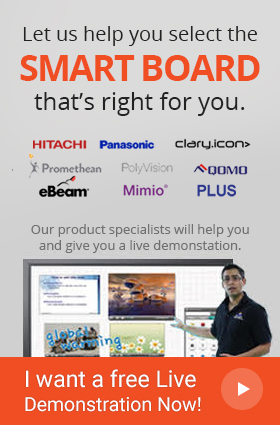 These qualities put it at par with any top of the class interactive touchscreen display. 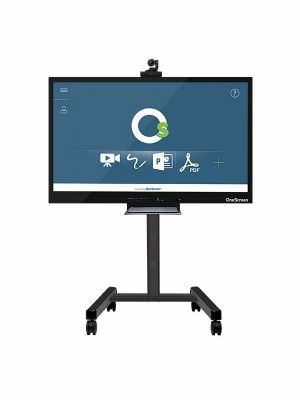 Apart from these, it comes with a powerful internal PC module that effortlessly supports all collaborative tasks like whiteboarding and video conferencing. To top this off, it features Android 5 OS with functionality-enhancing Google Play and MiraCast services pre-installed. Huddle d4 55'' Interactive Touchscreen Display gets all its functionality from its remarkable set of software. The OneScreen Annotate is the ultimate whiteboarding software, equipping users with the ability to whiteboard with multiple people and annotate any way over any kind of media. OneScreen Swap is a screen sharing software that allows the touchscreen display to be shared with up to 40 remote users. Finally, OneScreen Hype is a highly intuitive, browser-based video conferencing solution that enables seamless conferencing with up to 50 participants using a variety of collaboration devices. 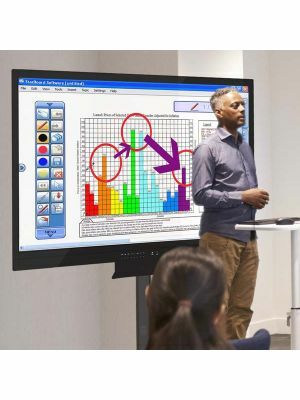 OneScreen Huddle d4 55'' Interactive Touchscreen Display is undoubtedly the best communication tool in contemporary markets and is a must-buy for professionals seeking perfection.